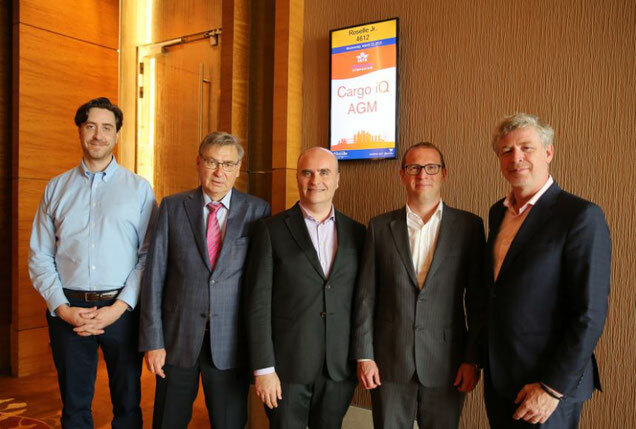 The three players have announced a new product named ‘SME Solution’ providing independent small and mid-sized forwarding agents with improved planning and control tools who cooperate with Cargo iQ member airlines on a regional or small-scale basis. In a joint release the trio announces that ‘SME Solution’ will greatly enhance the transparency of air freighting for companies taking part in the project. SME Solution will enable a Route Map and status updates to be made available to the forwarder for individual consignments in line with the common business practices and milestones set out in Cargo iQ’s Master Operating Plan (MOP). MOP was developed by Cargo iQ members as a system of clearly defined common business processes. The new product is a door-to-door (D2D) solution. It enables Cargo iQ members to measure the movement of freight from shipper to consignee in real time on House Air Waybill level. The entire route map data is provided by Cargo iQ to generate analytics, which is then reported to members in the organization’s Air Cargo Intelligence Hub. However, prior to joining the bandwagon and get access to Cargo iQ’s performance management tools, interested companies have to register with an accredited Cargo iQ SME IT Service Provider. It was his company that knocked at IT provider Riege Software’s doors in November 2017, showing high interest in enhancing the transparency of cargo transports for small and mid-sized agents by using the Riege developed back-end Cargo Data Management Platform (CDM) technology. From day one of their cooperation, their joint aim was to open up new technical and operational avenues for the air freight industry, focusing on quality improvement and productivity increase, cost reduction and yield optimization as well as customer retention and employee satisfaction. An approach that has obviously also convinced the Cargo iQ management as now evidenced in Singapore. The launch of “SME Solution” will start shortly. Together with IATA, Swiss WorldCargo and KLM Cargo are on board from the airline side.